Nathan Duvall understands the power of music and its ability to inspire the listening audience to act. 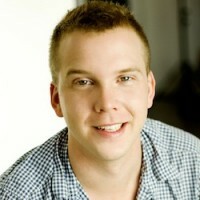 His professional mission is to brand content and advertising with audio. 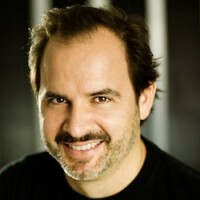 As music publisher, producer, and music supervisor he has contributed to some of the biggest Hollywood blockbusters that have generated over a billion dollars in ticket sales combined. In 1998, Duvall established the music department for motion picture advertising company The Ant Farm. The department quickly grew from 1 employee in a storage closet to 8 employees maintaining 20,000 music titles for more than 50 editors and their projects. Duvall produced the trailer scores for the Lord of Rings Trilogy including the worldwide hit “Requiem for a Tower” from the Two Towers feature campaign and contributed to Key Art Awards “Best In Show” winners Unbreakable & Lord of the Rings Fellowship of the Ring. Using his experience in the trailer medium Duvall established music publishing firm Howling Entertainment in 2000 and created production music catalogue Siren Cues as a joint venture with APM Music in 2002. Siren now boasts over 900 songs and sfx licensed to film, TV, video games, sports, products, education, and corporate use generating over $10 million in total revenue. Music publishing success allowed Duvall to debut record label Corner Stone Cues in 2006. “Requiem for a Tower” was the first release and became a worldwide licensing phenomenon in sports and product advertising including licensees such as the Olympics, Super Bowl, NBA, NFL, Sky Sports Theme, and Boston Celtics. Corner Stone recordings are mainly tracked at AIR Studios with the London Studio Orchestra and feature artists Damian Marley, Azam Ali, Buckethead, and Brain. The Eton Path release from 2007 boasts an adaptation of Led Zeppelin’s “Kashmir” currently featured in Disney’s John Carter feature trailer. In 2011 Duvall along with composers Daniel Heath and Rinat Arinos rebranded Corner Stone Cues as a production music house focused on making rewarding music for content. Daniel has been a classical and Jazz pianist most of his life. Having earned 2 degrees in film scoring and composition went on to work for Hans Zimmer after graduation. Whilst working for Hans, Daniel was part of the music team for Pirates Of The Carribean, The Da Vinci Code, and the Holiday. Over the years Daniel has also worked along side Blake Neely doing additional music for the following TV shows. The Mentalist, and Traveler. Rinat’s story is one of true passion and hard work. Originally from Tel Aviv, Israel, Rinat moved to the U.S. to pursue her first love, music. Since then she’s been doing everything from writing, recording, singing, and playing bass, to touring nationally with her bands Alone and Curious, while producing and placing music in over 100 TV shows, films, and commercials. Rinat received formal training at the Berklee College of Music. Her songs and voice appeared in TV shows: Step Up 2 The Streets, Tyra Banks Show, So You Think You Can Dance, Bad Girls Club, The Hills, The City, Baxter, and The Kardashians. While being mentored by Howard Benson, Rinat lent her voice to My Chemical Romance single, “The Ghost of You”. As a songwriter, Rinat co-wrote a song with Neff U for Brit and Alex titled “Let It Go”, which hit #5 on the UK charts and was also featured on the gold certified soundtrack for Step Up 2 The Streets. Rinat has been collaborating with bands/artists such as Armor of Sleep, Mind Flow, Jeffree Star, Halestorm, Kari Kimmel, and Beta Wolf. Other notable collaborations include Ben Grosse, JR Rotem (Sean Kingston), Kevin Fisher (Rascal Flatts), Gabriel Mann (Sara Bareilles), Jeannie Laurie (Selena Gomez), Neal Pouge (Niki Minaj), Richard Harris (Katherine McPhee), Travis Huff (The Summer Set), Mario Machetti (JoJo), Jon Ingoldsby (Kesha), and Jason T. Miller (Kanye West).